We get it. Sometimes the bathroom you have is not the bathroom you need or want. Maybe the house you recently purchased only has a shower and with little kids you really need a tub for bathing. Or perhaps you have multiple baths in your home and you are looking to convert one into the spa-like walk in shower of your dreams. There are a million and one reasons to want to convert your bath or shower – and we’ve heard them all. But no matter the reason why, our team of Bathroom Remodeling Experts can help! T.Webber Bathroom Remodeling is a one-stop-shop for your bathroom conversion needs. Our team of expert craftsman can convert your space from a tub to a shower, or a shower to a tub. All of our bathroom conversions are completely customized to your space and style. 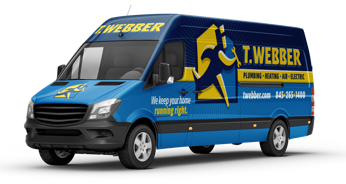 With T.Webber, converting your bath or shower can be both fast and affordable. Utilizing our Bath Planet acrylic products and innovative installation process, our team is able to complete most conversions in as little as two days. When compared to traditional bathroom remodeling, our Hudson Valley bathroom conversions rank top in class for affordability, durability, customizability and accessibility. Affordability: With our innovative measuring, manufacturing & installation process our team is able to reduce the demolition and installation time required to convert your bathroom, making it a more affordable solution. Durability: T.Webber utilizes Bath Planet tub and shower products which are the highest-quality, nonporous acrylic. Our Bath Planet products are certified by the Good Housekeeping Seal and are warranted to never fade, crack, peel, or discolor. Customizability: Our tubs and showers are completely customizable – with various colors, styles, fixtures and accessories to make your bathroom as unique as you! Accessibility: Our bathroom conversions also allow for safe bathing solutions for those with physical limitations. Our walk-in showers or walk-in tubs are the perfect solution for those who need additional safety measures in place. For complete bathroom conversions throughout the Hudson Valley, call T.Webber today! Our team is standing by to help you take the next step in your bath or shower conversion project.